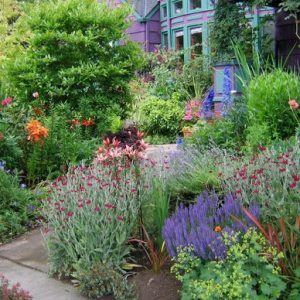 If your garden is getting a little tired, or just has never had any pizzazz, take a design trick from the pros. Add ornamental grasses! They contemporize any garden style, are easy to maintain and offer interest over several seasons. 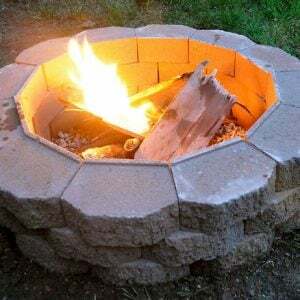 They also offer great form, focal points and texture if your garden has been missing those important design elements. 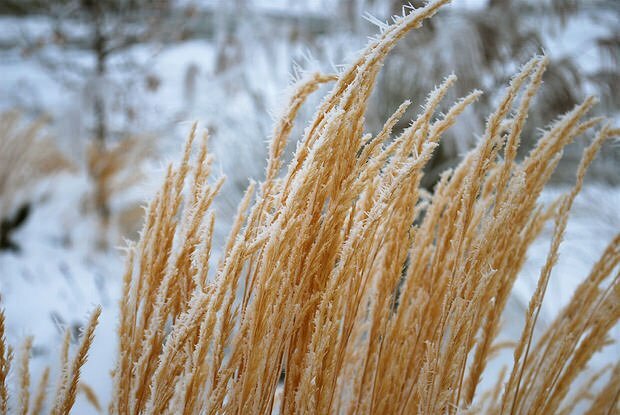 Here’s how to use ornamental grasses in your garden or yard. 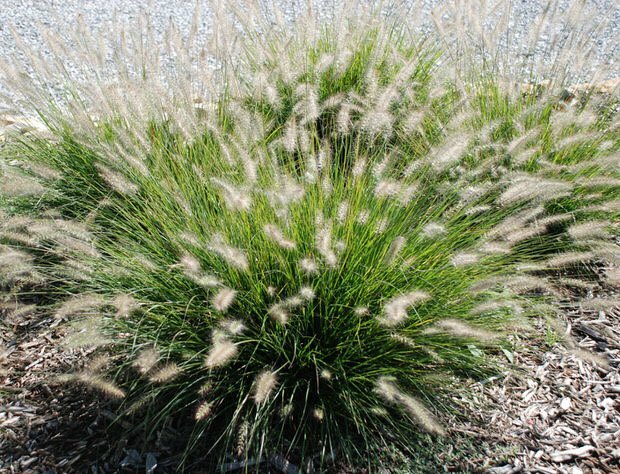 Editors Note: Be careful when buying ornamental grasses based on their common names – many grasses share similar common names, so always double check the Latin name to be sure of what you are getting. One of the most popular grasses for gardens, Maidengrass is generally a larger, fine textured grass that grows in fountain form. There are many beloved varieties, some favorites being “Morning Light” and “Zebrinus” which is a cool varigated variety whose leaves looked striped! Maidengrass grows 2-9 feet tall, and 2-5 feet wide depending on variety. All it needs is well drained soil, average water and at least part sun to thrive. Miscanthus is one of our favorites to make a statement in any garden. Feather reed grass is being planted widely because of its architectural shape and easy growing requirements. “Karl Forester” is a favorite variety. 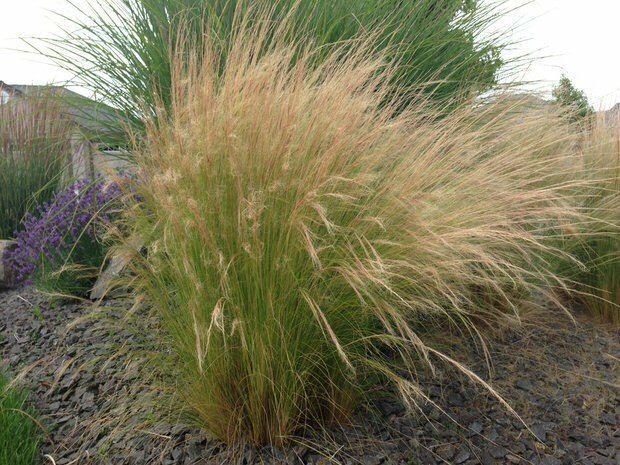 Growing in zones 4-9, Feather reed grass needs sun to part sun, average water, and not much else! Blooms early in the summer. A favorite in more contemporary gardens and in commercial spaces for its upright growth habit. One of our favorites! There are many varieties of this graceful, arching grass. Growing 1-5 feet tall, with flowers that are usually white or pink, depending on variety. Perfers the sun, is drought and deer resistant, and is easy to grow. If you want to avoid self seeded starts, then choose one of the named varieties. 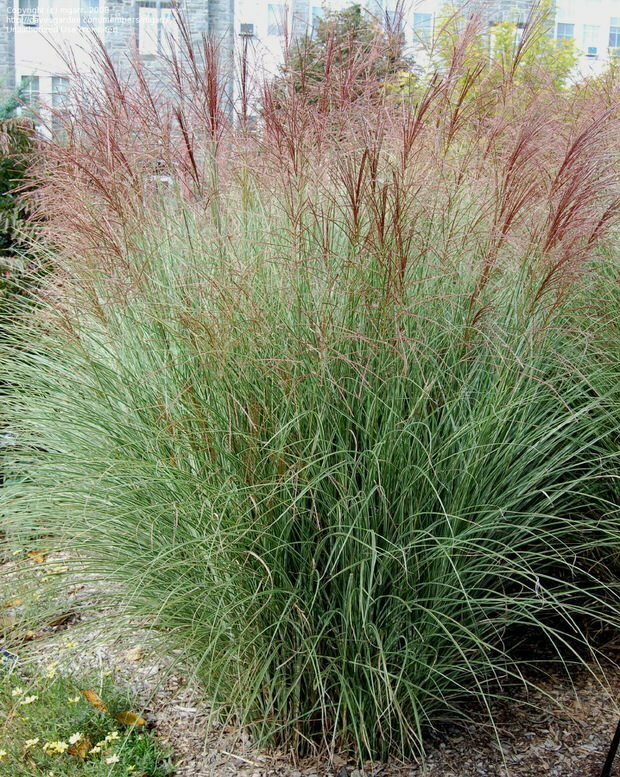 Our favorite is a dwarf fountain grass called “Hamlyn”. 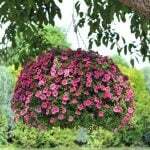 Blooms later in the summer for great fall interest! 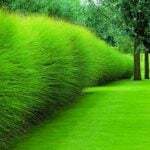 Easy to grow, and a wonderful, delicate looking fine textured grass. Medium height at around two feet, very drought tolerant once established, and hardy down to zone 6. Shade, sun, garden, containers- Mexican feather grass does it all. Its beautiful in the breeze, and tends to bloom early in the summer. Caution to those who don’t like plants that self seed- this one does. I love it here at TGG’s gardens, because it creates a really natural look. Its easy to pull unwanted starts, and to let those you want to keep just take off. Can get weighed down in a heavy rain…they usually just pop back up when they are dry! More of a problem in the shade. 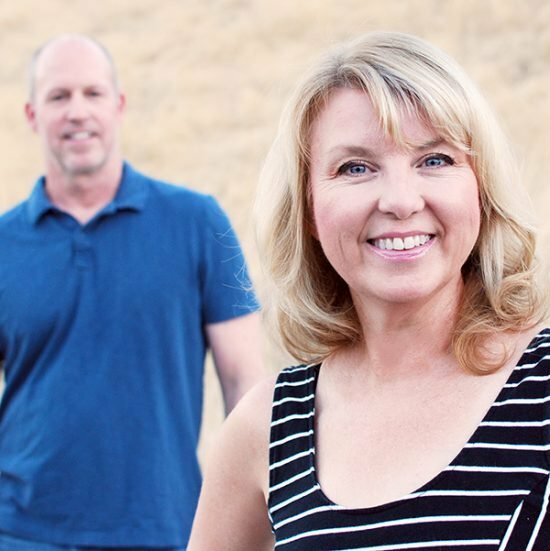 For a more refined and controlled look, choose blue oat grass. Living up to it’s name, its a blue gray color with stiff blades and a rounded shape. Growing to four feet when in bloom, this grass works well in both more modern styles, and with a more informal and casual garden design. 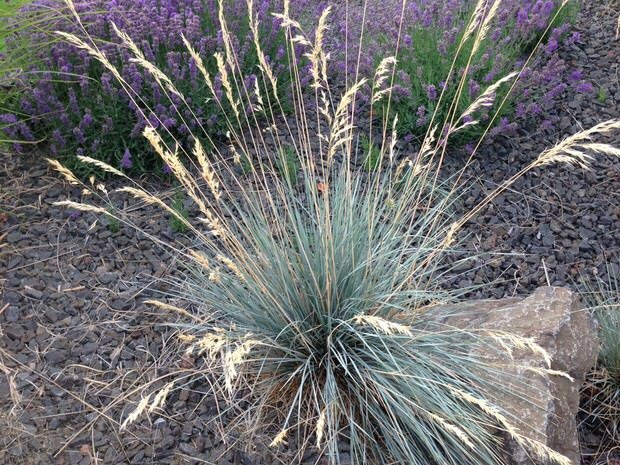 Also deer and drought resistant, you can grow Blue oat grass down to zone 4. Blue fescue is kind of a miniature version of Blue oat grass. Extremely versatile, it can be used for edging, rock gardens, containers, or in grouped at the front of the border. 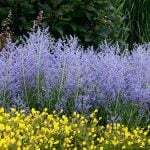 Growing just one foot high and as wide, blue fescue loves sun or part shade, and is evergreen in most areas, making it a great foundation planting. 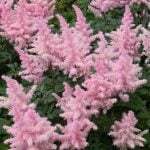 Easy to grow and attractive all year round! Most grasses need at least 4-6 hours of sun a day, so make sure you don’t try to grow them in deep shade. Although many ornamental grasses are drought resistant, make sure you water them well their first season to help them establish their root systems. Grasses need to be cut back severely in late winter or early spring…don’t worry, they are fast growers! Don’t cut them back in the fall…they offer wonderful winter garden interest. Cut them to within 12-18 inches of the ground. Consider using gloves, as some grasses blades can be sharp. Some grasses grow in large clumps, and need to be dug up and divided every three or four years. If your grass develops a dead center, dig it up in early spring, divide the grass with a spade or sharp knife into several smaller plants, and replant them where you like. Throw away the dead center. 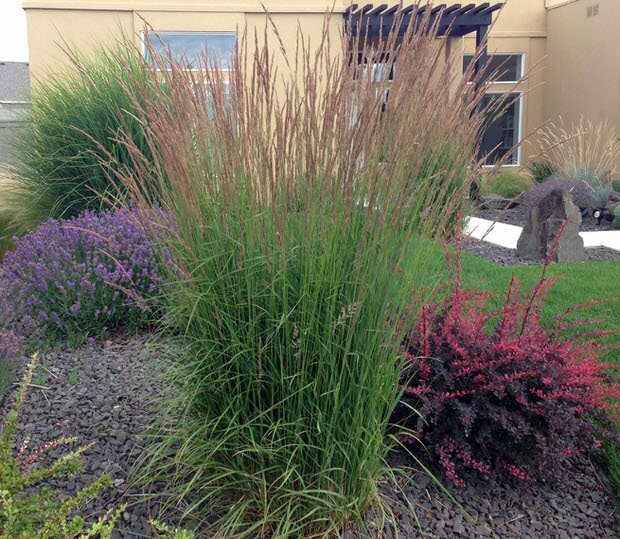 Don’t over-fertilize ornamental grasses. Too much nitrogen will result in tall plants that flop over and are not strong enough to withstand wind and rain. Lastly, don’t underestimate the potential size of the variety you plant. 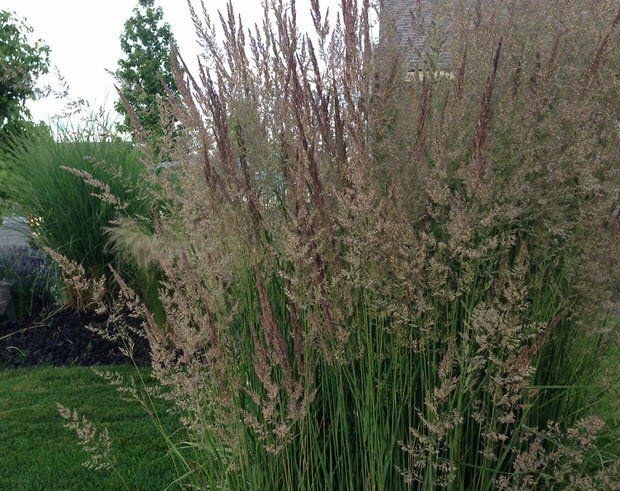 Some grasses grow six to eight feet high and as wide, so make sure you read the tag at the nursery and choose varieties that will work in your yard. Leave them plenty of room for their mature size so they don’t crowd out the rest of the garden. It’s easy to use ornamental grasses to create a more updated style and stronger garden design in your yard. Ornamental grasses are easy to grow, not fussy or high maintenance, and offer natural beauty to your yard. QUIZ: What Is Your Garden Style? I hope you can help.me, I planted three ornamental grasses in Spring, they arnt doing a thing, trying to be patient, but of course now I think maybe I planted them wrong, I.live in No. So we had a very dry summer until last month, I did leave a little part of bulb exposed w/ root covered, just like I thought It should be planted, thx for your advice in advance!!! Most perennials creep the first year, so its possible with the dry summer they are getting a late start… Make sure they are getting enough water this fall to give them as large a root system as possible before they go dormant, but unfortunately you won’t know until spring if they are going to take off in their second year. Chances are good they will!